In time deposits appear in the engine. 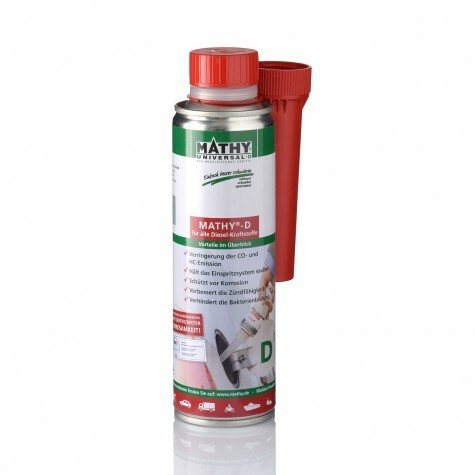 MATHY-M dissolve these deposits and keeps the engine sustainably clean. 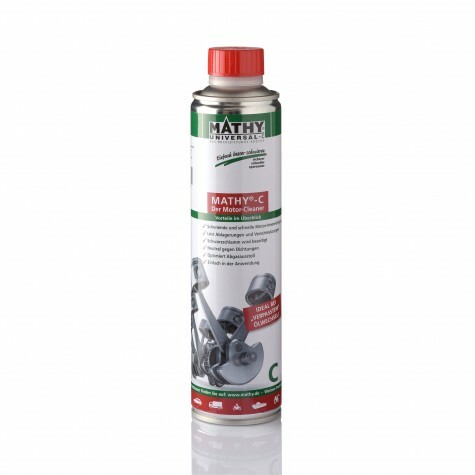 Due to this strong cleaning effect it is recommended to perform an internal engine cleaning with MATHY-C after 30,000 km. You can either replace 10% of the total volume of the engine oil by MATHY-M. Then drive about 700 km and carry out a complete oil change and replace again 10% of the total volume of the engine oil by MATHY-M. Alternatively, you can choose a simpler way: Before the next oil change drive your car for about 20-30 minutes until the engine is warmed up. Then add a can of MATHY-C to the warm engine oil (400ml is sufficient for 5 liters). After that let the engine run in idle mode (don’t drive!) for 10 minutes. Thereafter carry out a complete oil change and add 10% MATHY-M.
What problems is MATHY-M able to solve? Both products are completely different in their modes of action because their compositions are based on totally different additive packages. In combination with engine oil and maybe MATHY-M there is a risk that the whole the oil composition may become unstable because the additive packages could negatively impact each other. However, the separate use of each product in combination with MATHY-M is possible. What effects do MATHY oil additives have on the wet clutch / oil bath clutch of my motorcycle? 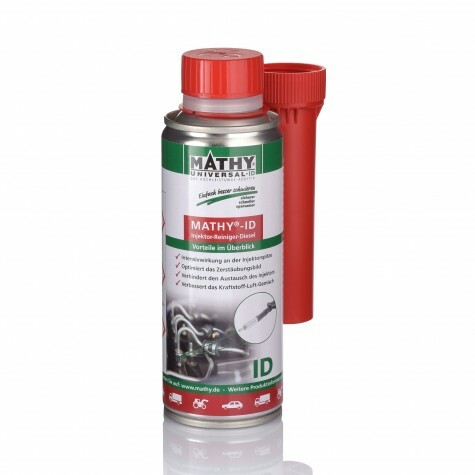 Modern motorcycles with oil bath clutches using partly-synthetic and fully synthetic oils run smoothly with MATHY-M. MATHY-M reduces the friction between metallic surfaces. For oil bath clutches in classic and vintage motorcycles please use MATHÉ Classic engine oil additives. In which engine oils can MATHY-M be used? MATHY-M can also be used with specialized oils, like longlife or race oils, as well as oils based on esther. Without question, you can use MATHY-DropStop in your motorcycle. All elastomeric seal / shaft seals become elastic and sealed again. 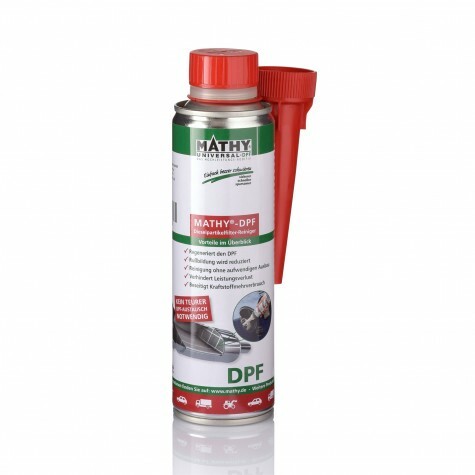 MATHY-DropStop is mixable with all mineral and synthetic oils. What is the maximum dose of MATHY-M in engine oil? In naturally aspirated engines MATHY-M should be 10% of the engine oil quantity. For motor sport, heavy load engines, pulling trailers, supercharged engines (turbo or compressor), and motorbikes, use 20% of MATHY–M. MATHY-M reaches its full effectiveness at an addition of 10%. At 20% and more the lubricity does not significantly increase any further. An even higher concentration does not make sense for lubricating reasons. Is Mathy-M able to reduce wear? Yes, MATHY-M demonstrably reduces friction and wear. This was proven in a multitude of tests (lab and field tests). The effectiveness has consistently been tested by TÜV since 1994. 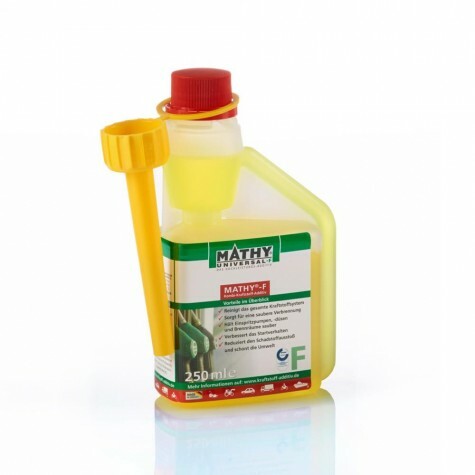 Can I add MATHY-M to engine oils for boat engines? Yes, MATHY-M significantly improves the lubricity of commercial. It reduces friction and wear as well as vibrations and noise and increases the reliability of engines. What are the practical benefits of using MATHY-M in boat engines? The oil change after the winter break may be skipped. Engines start much better. This can particularly be noticed after longer downtimes, e.g. winter storage and when starting the auxiliary engine of sailing boats. Boat engines operated with MATHY-M are less susceptible to failure and have a longer service life.